The way to tell the changing of the seasons in not through temperature or weather but by watching the light. It changed this week. The sun has crept down from its high perch and now sits lower in the sky, creating long shadows in early evening. 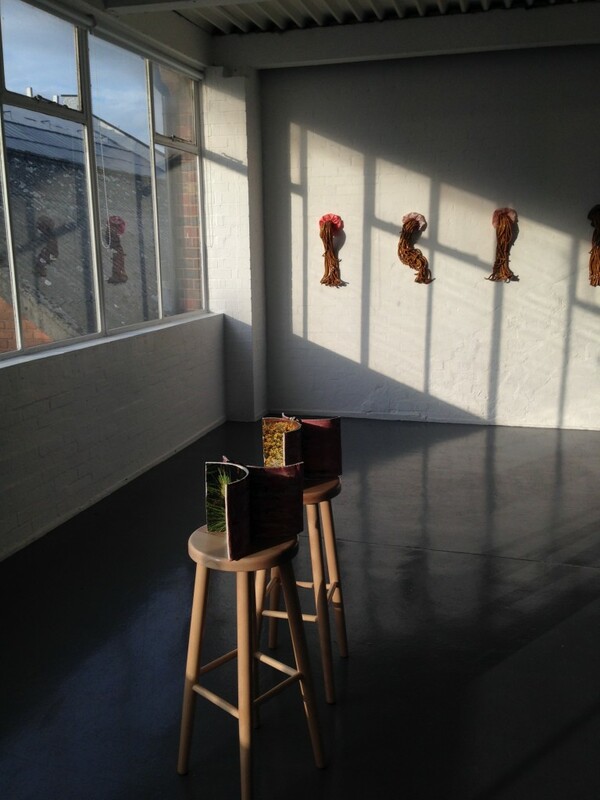 I was as an exhibition opening at Grand Union on Friday and the shards of 6pm sunlight lit up the artwork like spotlights. I spent Monday evening re-planting those slug-eaten seedlings, the sun warming my back. Birds were singing as if it were spring and I swear I heard a toad. That brief idyll has now been replaced by more usual autumn weather: mist, cloud and a chill. I don’t mind the cold, for hopefully it will keep the leek rust at bay – and sort out the slugs. Speaking of slugs: I’ve forked out for a tub of organic wool pellets from the garden centre, in what is probably a futile attempt to keep my plants protected without having to resort to the particularly grim murder afforded by slug pellets. Turns out that wool pellets smell of my childhood – in other words, they smell of FARM. The idea is that they swell up and make it difficult for Mr Slug to get around. Progress report soon. 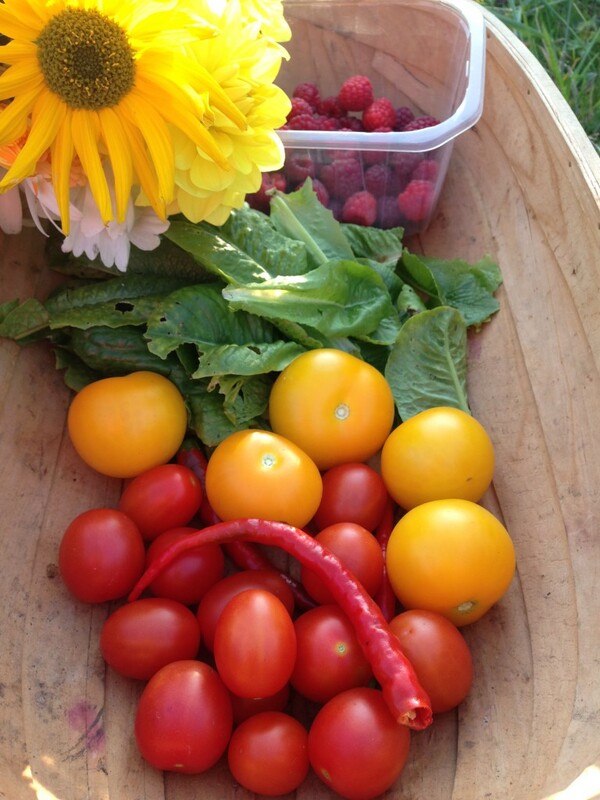 I’m still picking sunflowers, cosmos, calendula and dahlias, plus the tomatoes keep coming. Also some red chillies now, so hot that they burn the fingers when I touch them. 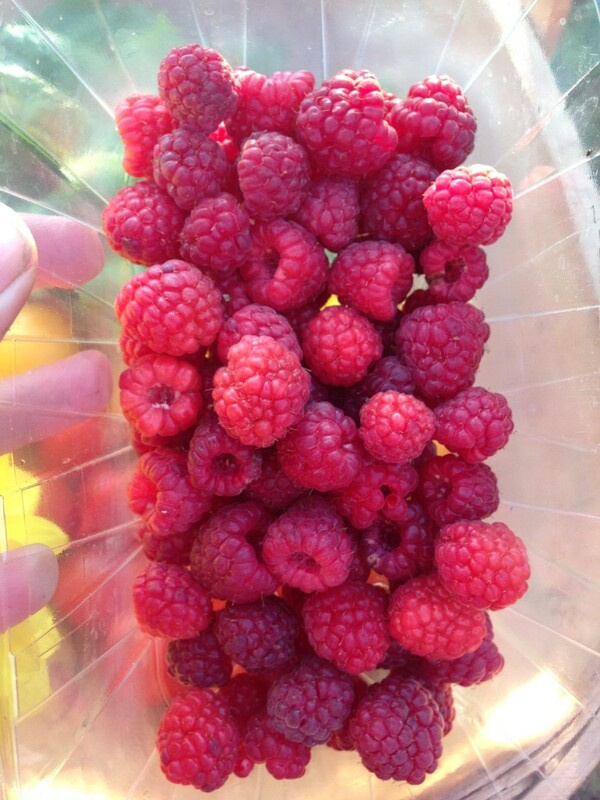 But the new star of the allotment are the autumn raspberries, a few punnets a week, soft and luscious. I’m bored of eating soft fruit on its own so doubtless most of this fruit will end up in the freezer. But I do think that raspberries are a great foil to creamy rich desserts. I had mascarpone in the fridge, and I’ve been wanting to try Rick Stein’s recipe for tiramisu. I’ve seen recipes that put raspberries IN a tiramisu, which I can’t quite bring myself to do, but on the side is fine. 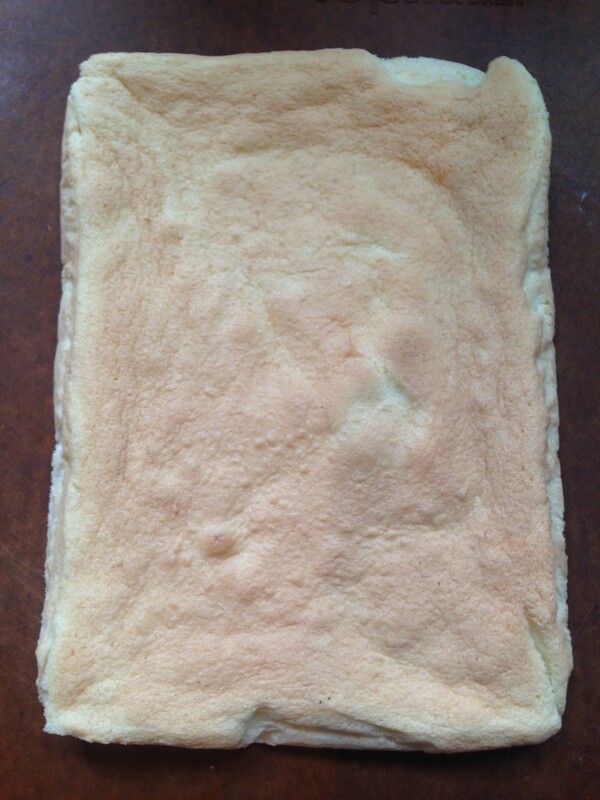 First, make a sponge. I know you can use sponge fingers, but I don’t keep them in the house, and anyway how hard is it to make a whisked sponge? Whisk up egg yolks and sugar, fold in a smidgeon of flour and stiff egg whites, then bake for 15 minutes. Sorted. Next comes the mascarpone cream. I was interested in this recipe because of the whisked egg-whites which I surmised would make it really light, like a mousse. Turns out that this is the proper way to make tiramisu and I’ve just been doing it wrong for years. You whisk up egg yolks and icing sugar until really thick and creamy, then mix in the mascarpone. 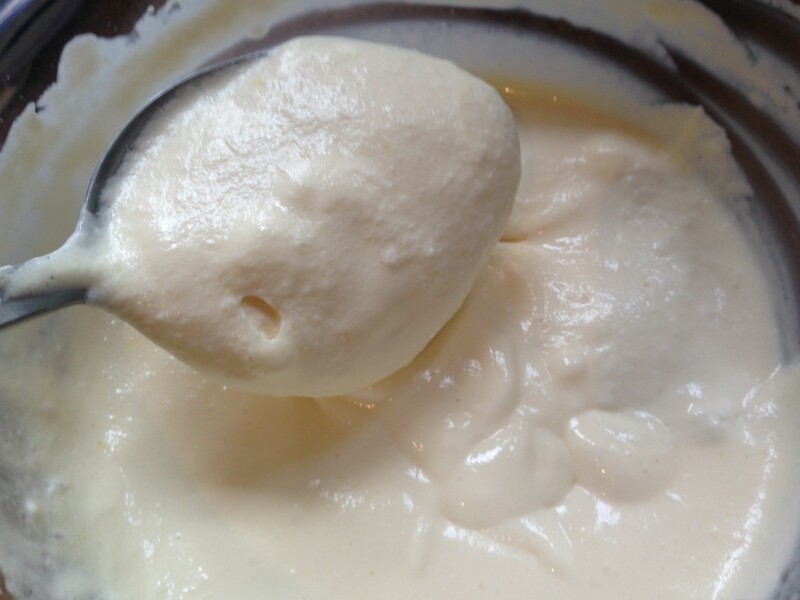 Fold in stiffly whisked egg whites and vanilla and voila, one creamy mass of deliciousness. Last thing to get right is the coffee. I didn’t get this right. I’m starting to think that all recipes for tiramisu need to double their coffee allowance; I had enough to soak the sponge but there wasn’t that hit of coffee flavour (I’ve upped the coffee ratio in the recipe below). Either way, use the best espresso you can. I made my own but if you don’t have a machine, you could always go down to your local coffee shop and get a take-away double espresso. Slug a good measure of booze in – marsala is traditional but I used armagnac. No sugar here, just coffee and booze. Then we layer it all together. You can put it in individual glasses, which is very pretty, but our household is too greedy for that so I made a big one. Slice the sponge to fit your dish, briefly soak it in coffee, place in the dish, dollop the cream on top, and repeat. Leave to chill for several hours so that the cream firms up and the flavours mingle, then finish with a shaving of 70% chocolate or cocoa. Tiramisu. Serve it up on its own or with a tumble of autumn raspberries. 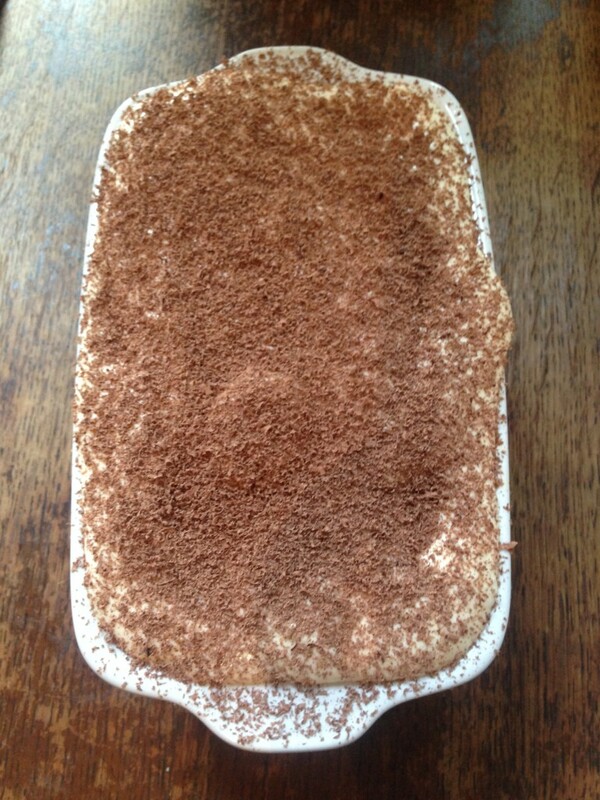 Tiramisu, translated as ‘pick me up’, is a cliche but what a good cliche. Serve up with raspberries for a hit of sharpness against the cream. Don’t keep it for dessert either, it’s a great breakfast! Pre-heat the oven to 180c and line a swiss-roll tin. Make the sponge: whisk the egg whites in a clean bowl until stiff. In another bowl, beat the egg yolks and sugar until pale and creamy – the ribbon stage, about 5 minutes with an electric whisk. Loosen the mixture with a little egg white, then alternatively fold in the flour and remaining egg white until you have a smooth and light batter. Keep as much air in as possible. Spoon into the tin and bake for about 20 minutes until risen and just cooked. Cool. Make the cream: whisk the egg whites until stiff. In another bowl, whisk the egg yolks and sugar until smooth, pale and creamy. Add the mascarpone and vanilla and beat until smooth. Add a spoonful of whites to loosen, then fold in the remaining whites. I think it’s best to use a really big metal spoon to do this. Keep the mixture very light. Pop into the fridge until you’re ready to finish the tiramisu. 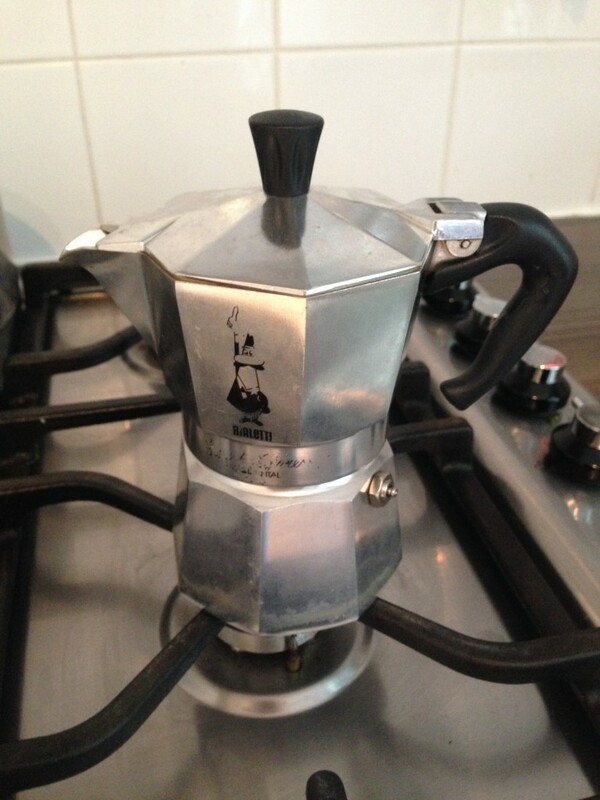 Make up your espresso then add the booze and leave to cool to room temperature. Find your serving dish or glasses and cut the sponge into circles or fingers so they will fit snugly. Dip the sponge fingers into the coffee and line the base of your dish. Dollop some mascarpone cream on top, then repeat. Keep going until the mixture’s all gone, finishing with a layer of cream. Chill until firm – at least 6 hours. You can cover with clingfilm and leave for longer if desired. Sprinkle with chocolate or sifted cocoa before serving. This entry was posted in Recipes, Sweet and tagged dessert, Raspberries, rick stein, tiramisu. Bookmark the permalink.